Pictured here in the left photo is the MOSSAR Color Guard Team taken at the 119th Annual Missouri State Convention in St. Louis, Missouri on April 24-25, 2009. Pictured here in the center photo is PG David Appleby and MOSSAR members participating in the 119th Annual Missouri State Convention. Pictured here in the right photo is the MOSSAR Color Guard Team, along with MOSSAR President, Captain Russell F. DeVenney, Jr. and other compatriots. 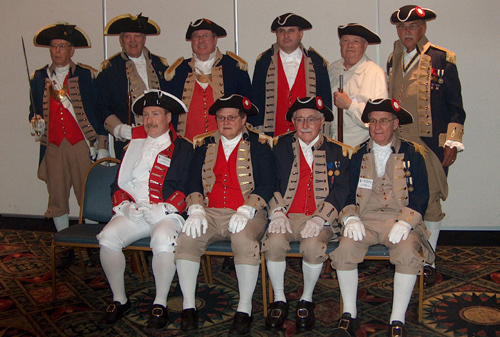 Left Photo (Back row) (L-R): Robert L. Grover, MOSSAR Color Guard Commander; Compatriot Keith Brown; Captain James L. Scott; Compatriot Dirk A. Stapleton; Compatriot Bill Groth; and Compatriot Charles E. Lilly. Left Photo (Front row) (L-R): Compatriot Bob Jackson; Brigadier General Gerald R. McCoy; Compatriot Wilber Kephart; and Compatriot Ed Morris. 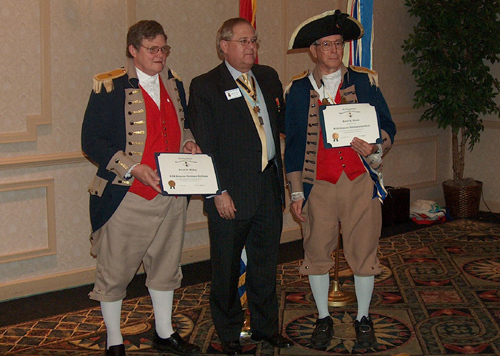 Center Photo (L-R): Brigadier General Gerald R. McCoy; PG David Appleby; and Major General Robert L. Grover, MOSSAR Color Guard Commander. Right Photo (Back row) (L-R): Captain Russell F. DeVenney, Jr., MOSSAR President; Robert L. Grover, MOSSAR Color Guard Commander; Compatriot Keith Brown; Captain James L. Scott; Compatriot Dirk A. Stapleton; Compatriot Bill Groth; Compatriot Charles E. Lilly; Compatriot Mel McNeal; and In-Comming MOSSAR State President Daniel McMurray. 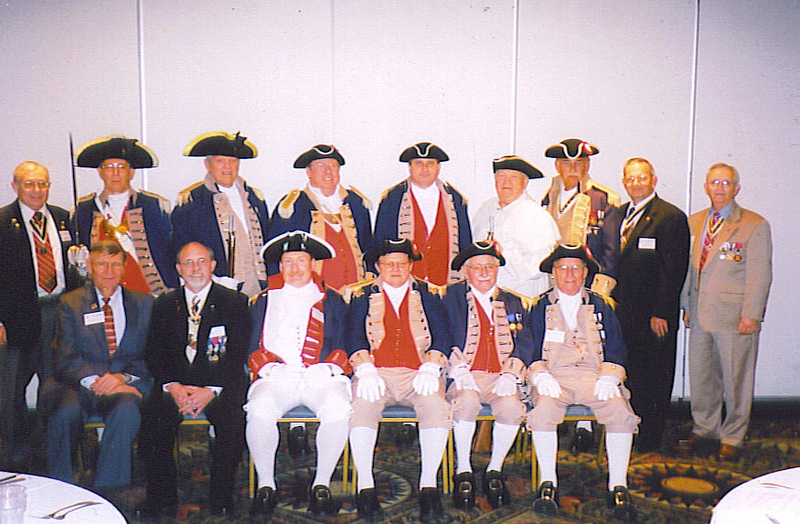 Right Photo (Front row) (L-R): Compatriot Jim Boyd; Brigadier General Stephen Baldwin, MOSSAR Eastern Color Guard Commander; Compatriot Bob Jackson; Brigadier General Gerald R. McCoy; Compatriot Wilber Kephart; and Compatriot Ed Morris.